There are several ways you can access the dialog to customize or reset the views. Some of the menus offer two options: Define views or Customize Current View. More information on which to choose is at the end of this article. 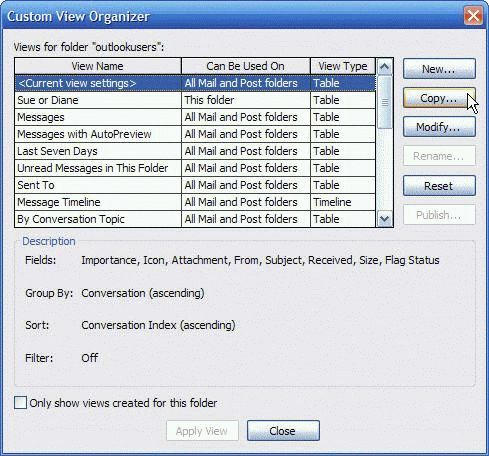 It's much easier to customize and reset views in Outlook 2010, thanks to the View ribbon. 1. Expand the Change view menu to select a different view. 3. Reset the view on the current folder. Use the View settings button to edit the current view. If you want to edit the view and have any chance that the view will apply to all fiddlers that use the view, edit the view using the Manage views dialog. Or apply the view to all folders using the command on the Change view menu. 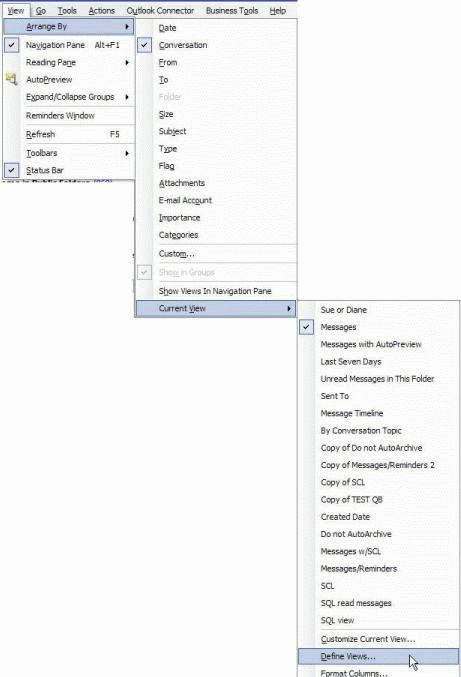 You can use the View menu, the View selector tool on the Advanced toolbar or right click on the field names in the message list. 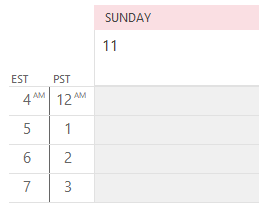 Show the Advanced toolbar (View, Toolbars, Advanced) and select a new view from the View selector or Define Views at the bottom of the list of views. 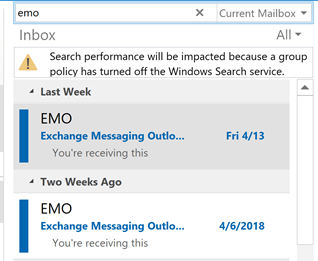 The first menu is seen when you use Outlook 2003's new message list with the two line view and right click on any of the field names across the top. 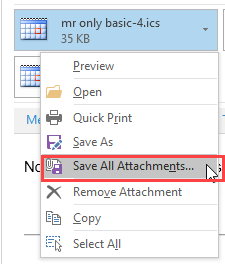 The second is what you'll see in Outlook 2003 with one line (slide the reading pane to the right to make it smaller or close the reading pane) or if using older versions of Outlook. Should you use Define Views or Customize Current View? What is the difference between the Define Views (Manage Views in Outlook 2010) and Customize Current View menu? When should you choose one over the other? Select a view, then click the Modify button to make changes. 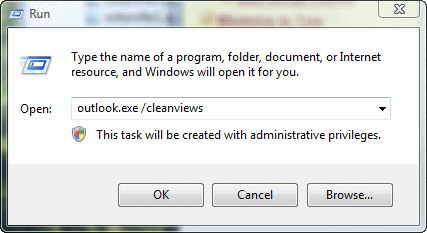 Use this dialog to copy or delete views. 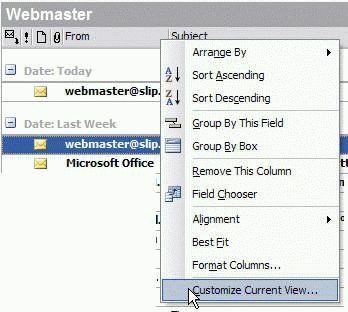 When you want to change the view across all folders that use a specific view (such as to remove grouping from all folders), use Define views menu and select the view by name, then click modify to open the Customize View dialog. You'll also use this method if you want to reset the view for all folders using the view. This is the same as selecting Customize Current view, then clicking Modify in the Define views dialog (shown above). Changes made using this menu apply only to the folder you are using. It will not apply to other folders using the same view. When you want to change (or reset) the view on the *currently selected folder only*, choose Custom (or Customize current view). You could choose Define views then <Customize current view>, then modify, but why use more mouse clicks than necessary? Published May 16, 2011. Last updated on December 27, 2013. Best wishes from Victoria Australia. Unfortunately, no, that can't be changed without changing either the DPI or font sizes in your windows theme, both of which affect other applications.